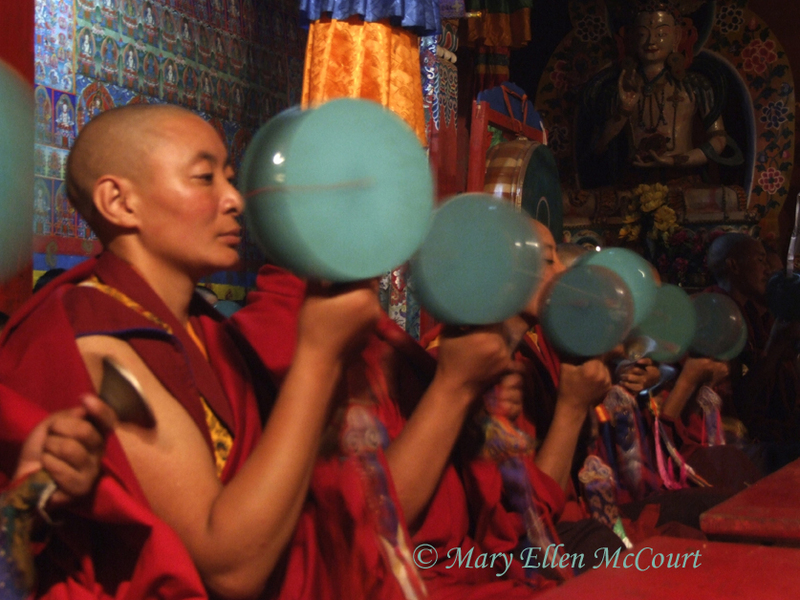 In the Yungdrung Bön tradition, there are many practices that incorporate the use of a drum and sil nyen, or Bönpo flat bell. The drum symbolizes method. The sil nyen symbolizes wisdom. Using these two sacred instruments together symbolizes the unification of method and wisdom. Posted on January 31, 2016, in Pilgrimage, Prayer and Ritual, Uncategorized, Yungdrung Bon nuns. Bookmark the permalink. Leave a comment.